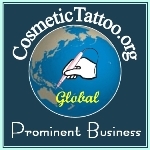 Your cosmetic tattoo hand piece can easily become contaminated with your client’s bodily fluids during a procedure and as most hand piece motors are not autoclavable it is important to disinfect your handpiece before and after procedures and to cover the hand piece during the procedure. The following procedure provides the best hand piece covering system that I have found so far, I developed the procedure with the intent of minimising the risk of fomite mediated cross infections. The procedure is suitable for both digital and rotary hand pieces provided you are using a foot switch to operate the machine, the setup is demonstrated on an Amiea Linelle Supreme hand piece. This publication is provided via a downloadable pdf, a download link is available at the checkout after payment, they are security protected files that are non printable to protect our copyright. NB. A single copy of this tutorial is provided free of charge to our customers who purchase a Linelle Supreme or Linelle 2 from us. If your chosen equipment supplier is not providing you with this sort of information as a standard inclusion ask yourself why are you purchasing from them? You may also like to purchase Finger Cots / Machine Covers and Tube Sleeve for use with this product. "It always good to find out about new techniques and how to adapt your procedures. I can stop using the glad wrap now this is a much better way."